TS EAMCET Hall Ticket 2019 has been provided to the students through online mode from 20th April 2019. 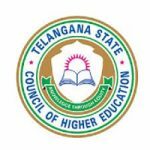 JNT University Hyderabad (JNTUH) organizes the TS EAMCET exam on the behalf of Telangana State Council of Higher Education (TSCHE). Through this exam, admissions will be given into various undergraduate engineering & agriculture courses. Various colleges & institutions of Telanaga state consider the TS EAMCET Score for providing admission. Students can check here details about TS EAMCET 2019 Hall Ticket. TS EAMCET 2019 Hall Ticket has been released from 20th April 2019. Click here to get hall ticket. Candidates who have successfully registered for this exam, now they can download the TS EAMCET admit card 2019. The hall ticket can be downloaded via online mode through the website. No offline mode is entertained to provide the hall ticket. Candidates have to fill the required details on the website to download the hall ticket. Without hall ticket, students will not be allowed to write the exam. Candidates are suggested to keep the admit card safe till the admission process gets completed. TS EAMCET 2019 Answer Key will be published in the month of May 2019. JNTU, Hyderabad will publish TS EAMCET answer key in two phases. Provisional key shall be published earlier followed by the final answer key. TS EAMCET 2019 Cut Off will be considered to offer admissions to students in various colleges and universities. The cut-off will be released by the Jawaharlal Nehru Technological University (JNTU), Hyderabad. The authority has released the TS EAMCET Hall Ticket 2019 on 20th April 2019. The examination will be conducted on 3rd, 4th & 6th May (Engg Stream) and 8th & 9th May (Agri stream). The exam will be conducted on two sessions such as 10:00 AM to 1:00 PM and 2:30 PM to 5:30 PM. The answer key will be released in the third week of May 2019. TS EAMCET Result will be announced in the fourth week of May 2019. After that, TS EAMCET Counselling process will be organized in the month of June 2019. Enter the required details such as Registration Number, DOB and Qualifying Exam Hall Ticket Number. Select your date of birth carefully. After filling the details, click on the “Get Hall ticket” button. Download it and take extra printout of the hall ticket for further use. TS EAMCET 2019 Hall Ticket. Filled online application form with pasted recent colored passport size phogograph attested by a gazetted officer. Attested copy of category certificate. Students have to reach the exam centre at least half an hour before the starting of the exam. Candidates should check the details mention in the hall ticket. If any discrepancy found in the admit card they should contact to the officials immediately. Tables, Log Books, Cell Phones, Calculators, Pagers, etc are not allowed in the examination hall. Candidates are instructed not to tear, fold or wrinkle their answer sheet. Candidates are suggested to visit the exam centre before the examination day to avoid any hassle. If candidates have forgotten their registration number, they can retrieve it by clicking the “Forgot Registration Number” option. Candidates have to enter details like Transaction ID, Qualifying Exam Hall Ticket Number, SSC Hall Ticket Number to retrieve registration number. If you have any other queries about TS EAMCET Hall Ticket 2019, you may leave your queries below in the comment box. It will be released soon. Stay updated with the article. Is college stamp reqired on admit card?? sir when should I Stamp my thumbprint on application form..is it from college or in examination hall? Shuld we take a stamp on hall ticket from the clg? You should correct it bu contacting the concerned authority. What does ‘qualifying examination hall ticket number’ mean ? Is it 12th board hallticket no.? The exam which you have last attended. what is this do we have to fill the application again . Admit card is released. You can download it now. whats wrong why admit card has not been released yet.? It is released by the authority. What is ts eamcet release time? when eamcet hall tickets are available? Admit card is available to download. when is it going to be released admit card ????? When we get Ts eamcet 2018 hall tickets please tell me sirr!!!! The link will be updated shortly. Check your TS EAMCET hall ticket here. The admit card link is not activated yet.